If you’re a fan of makeup tutorials then you surely know makeup artist and YouTube star Lisa Eldridge. Eldridge has worked with such celebrities as Cindy Crawford, Emma Watson, Cate Blanchett, Jennifer Lopez and Sandra Bullock and has been the creative director of luxury cosmetics brand Lancôme for the past three years. Now, just in time for the holidays, she’s branching out with her own makeup line in the form of three red lipsticks. Eldridge is known for her signature red lips, yet the inspiration for the lipsticks came from a dream, “I often dream about makeup, and I dreamt about this product several years ago. Inspired by my dream, I did a shoot a few years ago where I stuck actual red velvet onto a model’s lips. It was a fun shoot but not very comfortable for the model. I always loved the quote by surrealist writer and poet, Andre Breton ‘Objects seen in dreams should be manufactured and put on sale.’ I really wanted to launch with something which was a collectible one-off, something different — and these incredible lipsticks are just that,” she said in a press release. 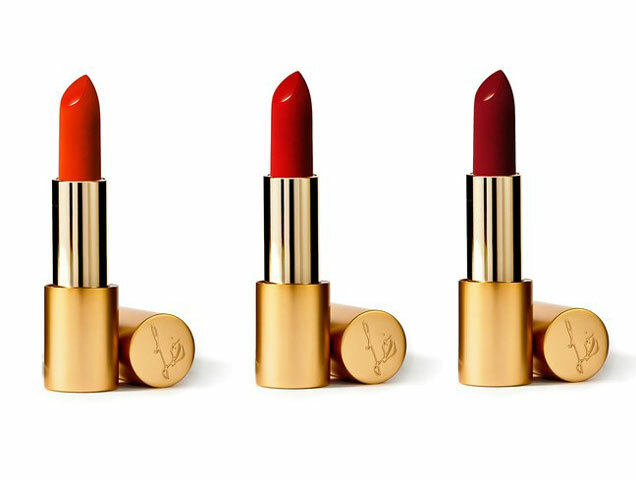 The cruelty-free lipsticks have a velvet finish and come in three shades of red. Each will be sold for $34, or all three tubes for $97, on Eldrige’s website and will be available November 19.